World Vision’s vice president for water, Dr. Greg Allgood, has more than 30 years of experience in clean water research and nonprofit work. He holds a Master of Science in public health from the University of North Carolina at Chapel Hill and a Ph.D. in toxicology from North Carolina State University. Dr. Allgood joined World Vision in mid-2013 after 27 years at Procter & Gamble, where he created and led a not-for-profit safe drinking water program that provided more than 6 billion liters of clean drinking water in the developing world. 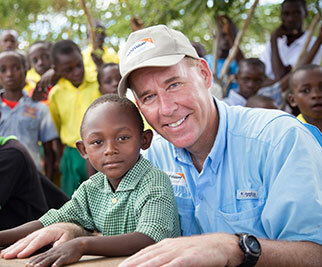 Today he uses his field expertise as an ambassador for World Vision’s water work.